Prom Dress // 5 Tips - Pretty, Polished, Perfect. It’s Prom Dress season here in suburbia (when is it not, really?) There is nothing more rewarding than guiding my youngest clients through the sea of never-ending homecoming and prom dresses, to see their eyes light up when they have found the perfect dress (it’s a pre-cursor to wedding dresses, but without the usual tears!) From strapless to full-length sleeves, from mini-skirts (I highly recommend avoiding those) to full-length gowns complete with sweeping trains – formal dress shopping can be both overwhelming and mind-numbing; the price tags alone can cause mild shock to set in. Add in trying to find a modest prom dress (with sleeves, and not too short! ), and it all seems like a hopeless venture. I wanted to share a few pictures I took of my little sister as she prepared for her school’s Homecoming Dance a few years ago. Our mother passed away (from breast cancer) when my youngest sister was just a sweet little five year-old. As tragic as that was, she was blessed to have an entire army of older siblings to rally around and help raise her alongside our father. Our relationships with her have evolved over the years; she has found different ways to relate to each of us, and if there is one thing (sometimes it seems like the only thing) we have bonded over, it’s clothing. She has her own unique style and doesn’t often ask for help (she’s a self-proclaimed tomboy) but when she does ask for help, it’s for formal dresses and gowns. She doesn’t often have occasion for such things, so as her (very) older sister I find myself jumping at the opportunity to connect with her and make her look (and feel) her best while maintaining her modesty standards. Prep work – pre-shop online to get a feel for what is out there in your price range. The best department stores have great filters to help you weed through the thousands of items. 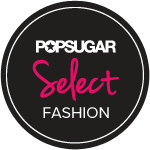 Check Pinterest for ideas of what appeals to you, including silhouettes, lengths, sleeve lengths, colors and fabrics; keep track of which of the aforementioned attributes look best on you. Try on everything! Be patient. My sister came to me with a budget ($170 – so random!) and while we’ve been looking in her price range, I’ve pulled a few options that might take her over-budget; these dresses are timeless and can worn for many different occasions over the years and best of all – they will be easily consign-able for at least 50% return on her investment. It can be worth it, especially if you find a dress that doesn’t need a jacket or sweater to keep it modest. Bring a snack. And water. Make it a light healthy snack – trying on clothing while eating sugar isn’t going to get you anywhere (wouldn’t it be nice if you could?!) Being hangry will ruin the whole experience and leave you feeling hopeless. Once you’ve found the perfect dress, don’t forget to find the perfect shoes (if you don’t have them already) as well as the perfect accessories (necklaces, hairstyles, bracelets, rings, purses!) It isn’t every day we have a reason to dress to the 9s! Join me at Macy’s Oak Park Mall, Saturday April 16 from 2-4pm in Overland Park, KS for a one-of-a-kind Prom Dress Fashion Show and Shopping Party. I’d love to help you find your perfect prom dress!